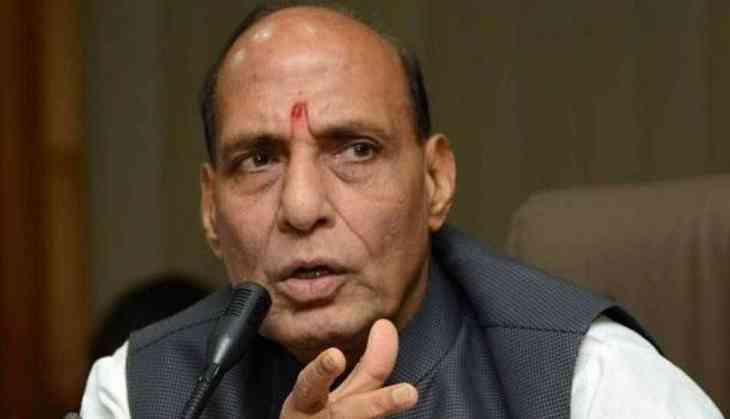 Home Minister Rajnath Singh Monday said there may be a constitutional breakdown in West Bengal in the wake of the Kolkata Police-CBI face-off and asserted that the Centre has power to take action. Amidst din in the Lok Sabha, he also termed as "unprecedented" the move to stop the probe agency from performing its duty. An all-out war broke out between the Centre and the Mamata Banerjee government on Sunday over the CBI's attempt to question the Kolkata Police commissioner in connection with chit fund scams. Making a statement in Lok Sabha on the prevailing situation in Kolkata, Singh described the action against the CBI probe team, which went to question Kolkata Police Commissioner Rajeev Kumar, as "unprecedented" and a threat to the federal political system of the country. "There may be constitutional breakdown in West Bengal... under the Constitution, the central government has been vested with the power to maintain normalcy in any part of the country," he said.